← Writing: Daydreams & Childish Play? A large crucifix hangs at the back of the stage. A long wooden bench stretches across the stage. 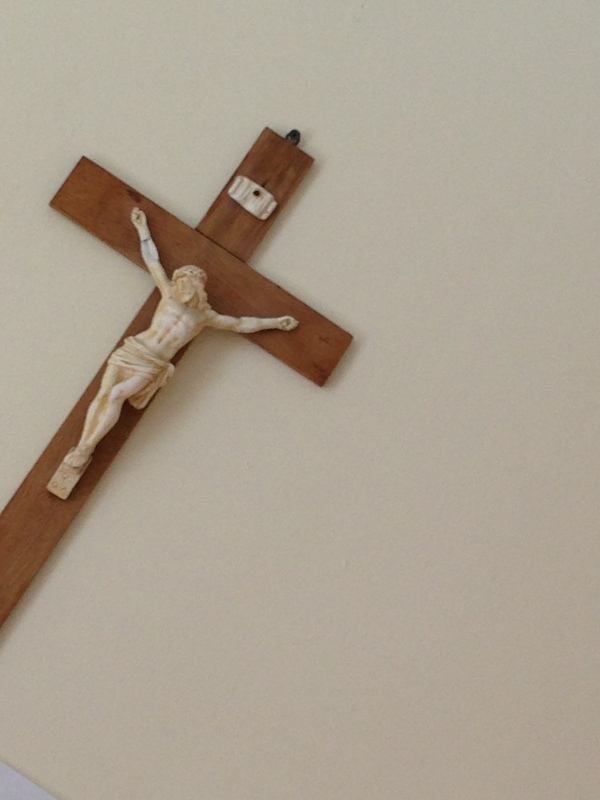 A simple alter stands between the bench & the crucifix. A priest enters. He is a crouched-over old man with short, balding white hair and big Coke-Bottle glasses. He walks across the stage, blesses himself, genuflects and then sits on the bench facing the crucifix. PRIEST: Good evening my Lord. I hope this day finds you well indeed like all the others. PRIEST: This hot weather is not for the old I fear. It creeps into the blood and seems to accumulate there. It’s days like these that you miss those blissful days of youth. Those days when one could embrace the warmth in one’s heart without being overwhelmed by it. Ah, but sure those days are long gone from us now. PRIEST: (lowering his voice slightly) Well the main thing that I wanted to talk to you about was that Rose is back in town. I saw her dressed in black velvet at John’s wake last Saturday; remember I told you about that? Well today she was going for a walk down the New Lane by Cleary’s. She says that she’ll be back for a week or so, from Chicago. That’s where she lives these days. She’s even picked up a Yankish twang. PRIEST: (Beginning to study his hand) Like withered weeds growing out of a grave. PRIEST: (unconvinced) Terrible sin vanity. It’s just despicable. PRIEST: She wanted me once. Well she said that she did anyway. PRIEST: (mutters) What can we ever really know. But those tears…those tears…they seemed real. PRIEST: (through a fake smile) She seems happy. Now that he’s passed. (Pause) I’m sorry that’s a terrible thing to say. PRIEST: (hesitating) I…I…know m…m…my vows. PRIEST: (whispers) If it wasn’t for them, I might still have her. PRIEST: Is it you? Are you trying to tell me to stop?…But stop what?…A confession?…A show of weakness? PRIEST: I didn’t mean to blaspheme or compare myself to…well…you know.